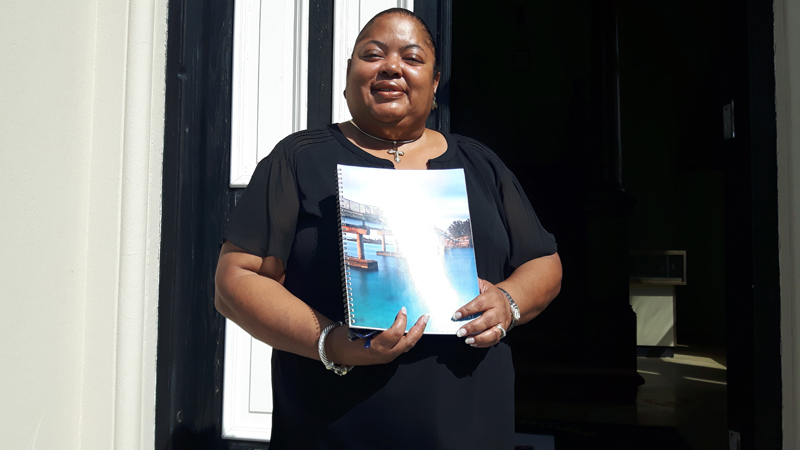 The Ombudsman for Bermuda’s Annual Report 2016 has been tabled in the House of Assembly and is now available to the public. Ombudsman Victoria Pearman submitted her Annual Report for the calendar year 2016 to the Office of the Speaker of the House of Assembly on 3oth June 2017 in accordance with her statutory duty under the Ombudsman Act 2004. In keeping with the Ombudsman’s responsibility to report to Parliament the Report could not be released until Parliament reconvened. The Ombudsman’s Annual Report 2016 details the work of the Office from 1st January to 31st December 2016.
championing best practices, reviewing the Ombudsman’s focus on fairness and her work to advocate for good administration. In 2016, the Office of the Ombudsman received 285 requests for assistance. It also received and dealt with a total of 128 enquiries in 2016. Enquiries are instances when people contacted the Office to seek information without making a complaint. In total, the Office worked to address 355 cases in 2016. The Ombudsman’s office stated, “In her Annual Report 2016, the Ombudsman highlights for the third year in a row the fact that the Land Title Registry Office [“LTRO”] remains closed to the public as a matter of grave concern. The total cost of setting up and running the office from 2005 has exceeded $11 million dollars. Eleven years later, it is still not operational. “The Report includes commentary on the Ombudsman’s discussions with the Bermuda Monetary Authority, Bermuda’s financial sector regulator, on how bank related complaints are addressed and whether Consumer Affairs is the appropriate office to deal with banking complaints. “The Report contains commentary on the Treatment of Offenders Board [“TOOB”] and the Ombudsman’s collaborative work with TOOB, the Department of Corrections and the Ministry of National Security to address gaps in complaint handling procedures for inmates. “The Report also comments on an ongoing investigation surrounding the Personal Services Section of the Department of Immigration. Problems have been acknowledged by the Ministry of Home Affairs and the Department and proactive measures have been taken to address the backlog caused by a significant increase in applications and no corresponding increase in staff compliment. The commentary provides additional information on this investigation. The Annual Report 2016 focused on how the Ombudsman’s Office can serve as a bridge in our community. The Ombudsman stated, “The work of this Office includes bridging differences and disconnections between members of the public and the authorities whose job it is to serve them. Ombudsmen focus on protecting people from unfair actions and bad administrative decisions. 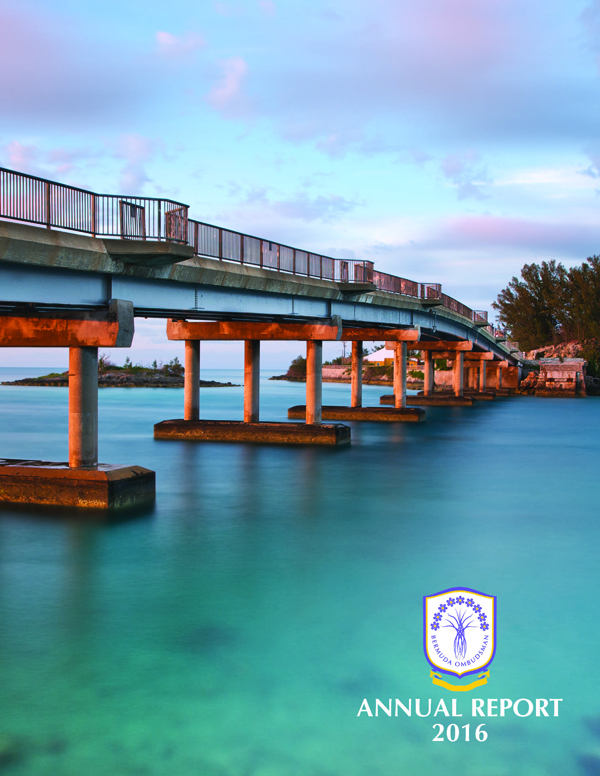 In her message the Ombudsman reflected, “Building a bridge requires careful contemplation. Bridges must be accessible. The work of our Office requires us first to be listeners. Opportunities for alternative dispute resolution require that when people have complaints they are heard. “Sometimes being heard by an Authority is enough to resolve a complaint. Sometimes an apology is sufficient. The fair, unbiased handling of complaints we receive requires careful consideration of all sides.